By now you will most likely have seen this No7 Laboratories Line Correcting Booster Serum on promotional display in your local Boots store. It was launched in April 2018 as the first product in the new No7 Laboratories collection of targeted skincare solutions. I am going to be 100% honest here and say that I took one look at this packaging and thought it was a gimmick, I even commented on social media that it looked identical to something Aldi had produced years ago for their snake venom! I can see the theory behind the Syringe style dispenser as the serum is rumoured to be the closest thing to Botox that you can apply topically to your skin. What I will say is that I found it a great way to dispense the serum, and being the nerd that I am I used the dispenser to apply a dot onto each of the areas I wanted to treat and it applied the perfect amount with each pump. No7 say that the secret behind this serum is their own trademarked anti-wrinkle technology Matrixyl 3000 Plus, which helps skin recover some of its key properties and components, such as elastic fibrillin that is lost in the early stages of ageing. This serum contains 7 x concentrations of Matrixyl 3000 Plus. Hence the 7x concentrate symbol on the front of the packaging. This Serum promised visible improvements to the skins wrinkles and fine lines and call me cynical but I was sceptical to say the least. I have had great results with No7 Serums in the past, but this seemed a little optimistic to me. The serum is designed to use as the first layer under your usual serum and moisturiser, you apply a dot to the areas you want to treat, for me this was crows feet, vertical lip lines, nasolabial folds and marionette lines. I applied the serum as instructed expecting to wait a few weeks to see anything happen, if at all! - within 4 days! I could see a difference in the softness and depth to the lines and on day 6 my Granddaughter 22. came into the bedroom first thing in the morning and admonished me for wearing make up to bed!! which I hadn't. This led to her peering closely at my skin lol. I have to confess to being shocked at the visible improvement this serum made to my skin. 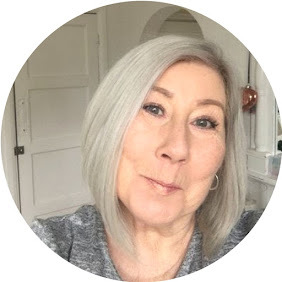 At 61 of course I am going to have lines, that said with the amount of skincare I test on a regular basis it is very rare to see a definite change in the skin, of course it can look good, or better but for someone else to actually notice a difference to me is nothing less than amazing!